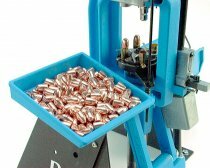 Speed up your reloading process with this afordable accessory. Mounts directly to Dillon Strong Mount. Fits the Square Deal, RL550 series and XL650 strong mounts. You must have a strongmount in order to use this bullet tray.